In honor of all Mega64 fans and video gamists, we’ll be spending a weekend in Anaheim and Disney's California Adventure, throwing events, hanging out, and having a blast! NOVEMBER 9th 2019: MEGA64 GAMEDAYS ALL-DAY CONVENTION EVENT with the full Mega64 crew in Anaheim PLUS SPECIAL GUESTS! A full day of panels, booths, hanging out and having fun! DAY 1 TICKETS ON SALE NOW! Throughout the entire day, the hall will have exhibitors and vendors you can visit- we'll announce them soon! Feel free to visit the booths anytime during the show; and during breaks, the guests will be hanging around to meet you too! NEED A HOTEL ROOM? There is no official hotel block. Try booking with the Marriott if you don't wanna wait, or there are still a billion hotels and affordable rooms all around Anaheim/Disneyland area! 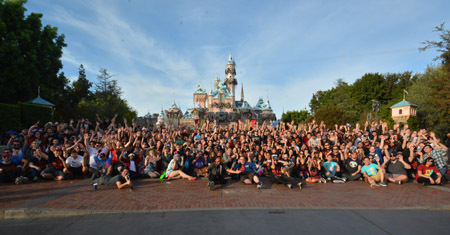 NOVEMBER 10th 2019: A DAY AT DISNEY'S CALIFORNIA ADVENTURE WITH MEGA64! It’s an excuse to go to Disneyland, basically. We’ll be having a few meetups throughout the day. This year we are returning to California Adventure for Day 2! After each meetup, we’ll go do stuff- feel free to tag along, or do your own thing at either park and meet back up at the next scheduled event. Whatever you want to do! Gamedays is chill, bro! Discount park tickets coming soon! Each person that meets up with us at Disneyland gets an exclusive Gamedays 2019 button! 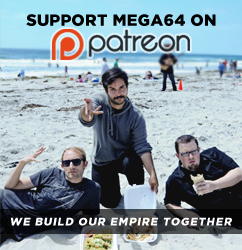 MORE MEGA64 GAMEDAYS 2019 UPDATES AND INFO COMING SOON! This event is not an official Disneyland event. We’re just letting you know when we’re going to Disneyland. Be cool.